Batteries of S-400 missiles that Turkey plans to buy from Russia. U.S. concerns regarding Turkey's purchase of Russian-made S-400 missiles are politically motivated, a top defense official said. "I believe that the U.S. expresses more political concerns [than technical issues]," Defense Industry Vice President Cemal Sami Tüfekçi told Anadolu Agency (AA) on Thursday following an academic conference in Washington. Stressing that U.S. officials claims suggesting the S-400 system may obtain confidential information about F-35 fighter jets are baseless, he said American and Israeli F-35 jets already fly over Syria, where Russian radars are active. "Technically, everything is possible, but Turkey will use its domestic software. We are a friendly country with the U.S.," he said, pledging that Turkey would not allow any information on F-35 jets to be obtained by others. "We would not allow such a thing anyway," he added. Ankara has long been underlining that it needs to address its air defense needs and called for purchasing defense systems from its NATO allies. Turkey plans to purchase a hundred F-35 fighter jets from the U.S., pending congressional approval. Thirty fighter jets have already been approved for purchase. In relation to the U.S.' offer to sell the Patriots in January, Tüfekçi noted that Turkey was negotiating with Russia about the purchase of S-400 missiles way before the U.S. offer. 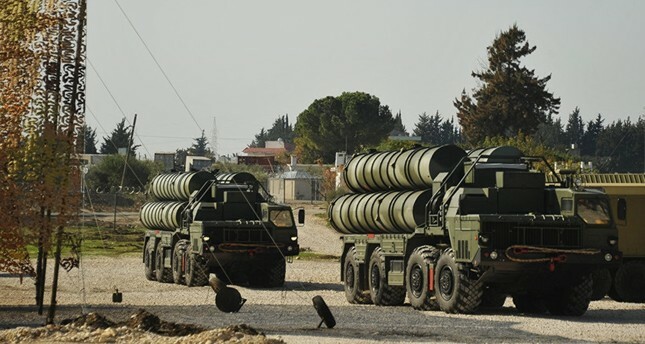 Tüfekçi's comments came after a U.S. official said Thursday that Washington was concerned with Turkey's decision to purchase the Russian-made S-400 defense system, and the U.S. government is considering not proceeding with the Patriot sale if Turkey insists on buying the S-400. "We are concerned that a Turkish purchase of the S-400 missiles will endanger the country's participation in the F-35 program and will likely result in some sort of sanctions coming through legislation called the Countering America's Adversaries Through Sanctions Act (CAATSA). Our desire is for Turkey to have a more effective and NATO-interoperable system, which the S-400 system is not," the official said. Ankara opposes any prerequisite in the contract that foresees the cancellation of the S-400 defense systems. President Recep Tayyip Erdoğan also previously said that S-400 missile system negotiations between Ankara and Moscow are a done deal, and the U.S. was not in a position to say something about it, adding that Turkey needs both Russian-made S-400 air defense systems and U.S.-made F-35 fighter jets. On Dec. 19, 2018, the U.S. State Department approved a possible sale of the Patriot air and missile defense system, saying that Turkey continues to be an essential element of the national security and defense strategy. This was regarded as a breakthrough move after Washington's delay of F-35 airplanes to Turkey due to its purchase of the Russian-made S-400 defense system.